Chris Hughton has said he is not interested in becoming the Republic of Ireland's next manager. The Brighton boss was quizzed at a press conference ahead of Saturday's home game against Leicester but has suggested his focus will stay on the Seagulls. When asked if he was interested in the Republic of Ireland job, Hughton said: "No. What I am very interested in is the job that I am doing here. 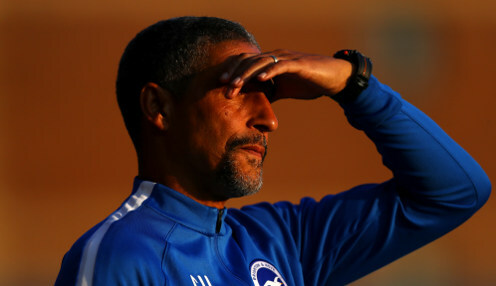 Former Irish international John Aldridge had earlier stated he believed Hughton to be the "ideal candidate" to succeed Martin O'Neill, though he also doubts the Brighton boss will be budging. O'Neill and assistant Roy Keane walked away from their roles on Wednesday after a dismal 2018 saw the Irish relegated from the UEFA Nations League B without winning a game, and registering just one win in eleven games. Aldridge played with Hughton on international duty, most memorably at Euro '88 in Germany, and is a big admirer of the 59-year-old Brighton boss. For me he'd be the ideal candidate but that's not going to happen. He should be first on the FAI's hit-list, says Aldridge, though the ex-Liverpool forward is unsure if Houghton would leave a job in the Premier League. "I don't think Chris Hughton is going to leave the job he's doing at the moment, and what a job he's done at Brighton. He's been absolutely fantastic," Aldridge told RTE. "For me he'd be the ideal candidate but that's not going to happen." Mick McCarthy is being touted for a return to the Ireland job, with record goalscorer Robbie Keane as his assistant. Aldridge says there are examples of small nations succeeding on the big stage that Ireland must seek to emulate. "Mick [McCarthy] did a decent job [with Ireland] when he was there. He's since gained more experience, he's been around for a lot longer. Can he come back and revive us? I don't know. "It's a tough one for the FAI but whoever they look at getting, they've got to think long and hard," he added. "We have got some very good young players. If Iceland can do it, if Greece can do it, it's not impossible to get us back on track." Hughton's Brighton are 9/5 to beat Leicester on Saturday at the Amex Stadium. The Foxes are 9/5 while the draw is 11/5.